In most cases, people tend to think that gas safety should be practiced in homes, forgetting about commercial needs. The truth is, gas safety for employers is essential and employers ought to focus on gas safety in their institutions. ST. 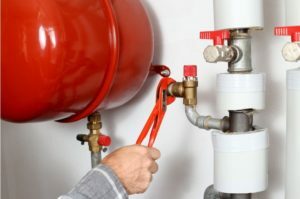 Heating Services LTD understands the commercial demand for gas safety for employers and has ready gas engineers and constructors fit for every gas safety task. Residents of Manchester and North West UK enjoy quality and efficient commercial gas safety services like maintenance, installation, and repair at considerate rates. In this article, you get an insight into the reasons why you need gas safety for employers. The law governing commercial working areas demand gas safety requirements. These rules include; the health and safety at work act 1974. The 1974 Act states that industries, factories, mines, fitting testing plants, and other areas with workers need to install gas safety. There is the gas safety regulation of 1998 which focuses on installation and use of gas safety equipment. The 1998 regulation states that the installation of gas safety equipment should be done by professionals. With this understanding ST. Heating Services limited has the right personnel for the job. The company has certified gas safety professionals and contractors for installation and maintenance services. Most gases emitted in the commercial areas like industries are destruction since they react with products. With this understanding, it’s clear that unsafe gas release in the areas can result in massive destruction of individual property. Sometimes explosions occur where gas safety measures are ignored or in cases where the gas pipes unknowingly leak. If you care for your property, then you need efficient and professional gas safety contractors, to monitor and repair gas systems. Why Should I Consider ST. Heating Services LTD? ST. Heating Services Ltd transacts with original gas safety appliances from certified companies. Gives services to all field from commercial to home needs all at considerate rates. If you have not been keen on the gas safety in your organisation, now you understand the benefits. Neglecting the safety measures when it comes to gas safety can result in great damages and loss. Ensure regular checks and maintenance of your gas systems.